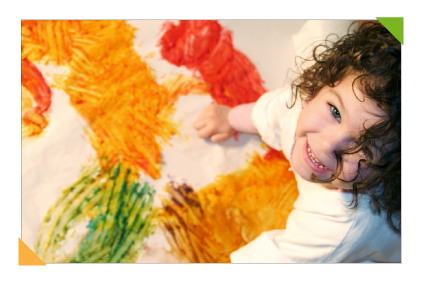 Actively engage children by naturally involving their own learning styles. Did you know there are nine types of intelligence? Active learning activities lead kids to use their own brand of intelligence and engage their minds in holistic ways that traditional classroom teaching doesn't address. Help students learn by doing, a learning style that comes naturally to many children. Because oxygen to the brain increases when they get up and move, active learning activities help students' minds work at their highest capacity, naturally engaging the higher centers of their brains. Allow teachers to differentiate instruction and curriculum. What if one of your students learns best musically, while another learns interpersonally and yet another learns naturalistically? No problem! One active learning activity can hit all three of those learning styles. Make learning so fun students don't realize they're being taught! During active learning activities, children comprehend at deep levels and naturally integrate subject matter, avoiding the silo effect ("we're only learning math right now") so common in elementary school classrooms. Lead children to learn to share space, develop social skills, brainstorm ideas, solve problems, resolve conflicts, and use higher thinking skills. Children engaged in active learning activities tend to broaden their thinking in addition to deepening it; for instance, they might learn to realize there's more than one way to solve a problem or recognize gray areas. Our Active Learning guide is free; simply request it below and look for it in your email box! Written by Kim Hughes, a Conscious Discipline® Certified Instructor (CDCI) and founder of Conscious Connections, our guide includes a printable list of active learning strategies you can use right away in your classroom environment or child care center, including practical ways to rearrange your classroom layout to accommodate active learning activities. "I've been teaching for a good while and learned many new strategies and ideas to take back to my classroom." "This will be very helpful when dealing with children who have challenging behaviors. Excellent!" "I have worked closely with Kim for more than ten years. Her emotional intelligence and her ability to connect with and respect both adults and children and to see the strengths in each are exceptional. "As a workshop leader she is always extraordinarily prepared, respectful, excited, and incredibly knowledgeable about her topic, whether it be Math and the Young Child, Dealing With Challenging Behaviors in the Early Childhood Classroom, Intentional Teaching, The First Six Weeks of School, or Preschool Classroom Strategies to Support Children on the Autism Spectrum, all topics she presented on our behalf this year."